Water Lovers Take A Look! 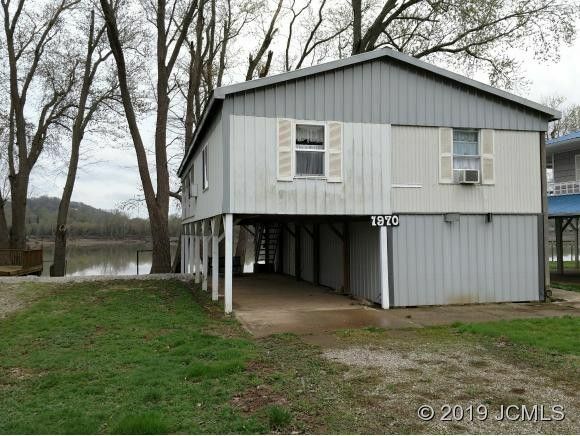 This cozy little home is just steps away from the beautiful Ohio River. Perfect getaway for someone who enjoys the serenity that the Ohio River provides. Was originally a mobile home with stick built additions. Dock your boat on your on own private boat dock or relax on the covered porch. Includes a hoist/ elevator. Asphalt roof.Between Historic Madison Indiana and Vevay while also being directly across from Carrolton Kentucky. Come down on the weekends and enjoy a lifetime.